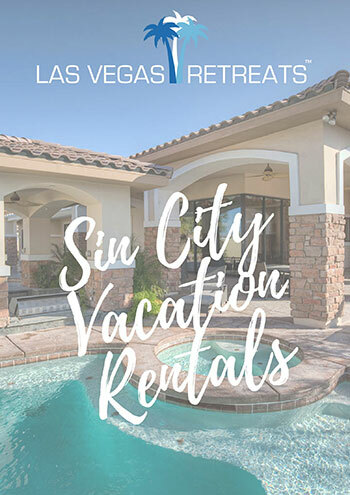 Whether you know it or not, there is a war on vacation rental homes in Las Vegas. The city of Las Vegas has literally turned hostile towards homeowners who want to rent their homes for less than 30 days. Weekend vacation rentals, it seems, are unwelcome in any form. Even AirBNB and Homeaway have made note of the issues happening in Las Vegas and some vacation rental sites are refusing to take new vacation rental home listings in the area. This is a tremendous problem for anyone needing a ready-to-use home for short term in Las Vegas. Turnkey rentals may be the answer for those renters as well as for homeowners looking for a way to rent thier furnished properties within the law. What Is A Turnkey Rental? It is exactly what the name implies. A home that is fully furnished with everything but clothes and food. The lights are on, the cable and internet are hooked up, and the pool is ready to enjoy. The is nothing left for the renter to do except move in and enjoy the home. The home is much like a vacation rental except that the length of the stays fall within the law. This will be a great solution for anyone coming to town for more than just a few days. Many people will enjoy the advantages of turnkey rentals and easily be able to justify the cost of their stay. For example, a renter who needs a home for as little as a week can probably justify the cost of a turnkey rental, even though their commitment is actually for 30 days. The advantages easily outweigh the costs. There are so many advantages to this type of rental home. Imagine not only weekly stays or family reunions anniversaries or even wedding receptions, but also movie shoots and lodging for actors, show dancers, poker players and more. Professionally managed Las Vegas turnkey rentals are the ideal match for these needs and many more like them. Las Vegas is a place where this activity happens constantly. Vegas is quite literally the ideal location for all these things and turnkey rentals are the ideal answer. Lower cost and greater flexibility paired with greater security add up to a real winner. Having a second home in Vegas is a goal for many people. Whether it's for business or pleasure, or both, Las Vegas is a top choice. For many people, it simply makes good sense to have a home in Las Vegas that they can use whenever they need to come to town. The advantages over staying in hotels and casinos are obvious. If you're a regular to Vegas, you can understand why nobody would want to be a constant visitor to the Las Vegas Strip to conduct business. Nonetheless, this town is an easy international destination with probably the most convenient airport anywhere in the United States. This town is all about business and a second home here is an excellent investment. Having a turnkey rental means not only having your own home, it means being able to offset your costs by renting your home when you don't need it. A well configured and thoughtfully appointed home is an attractive alternative to any hotel room for more than a few days. Especially a packed and crowded casino hotel. We recommend turnkey rentals as an alternative to vacation rentals and short term rentals. You'll get a better home and and better value too!